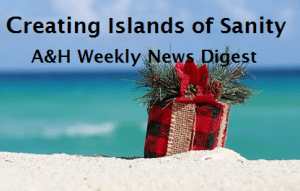 ♦ Dec. 8-10 & 15-17 – It’s a Wonderful Life: A live Radio Show. You are invited to see Scott Bessho as Old Man Potter. Tickets are available through Brown Paper Tickets or at the box office at Kenyon Hall an hour before show time. December 8, 9, 15 & 16 at 7:30 pm and December 10 & 13 at 3:00 pm. Visit the Twelfth Night Productions web site to find out more information. 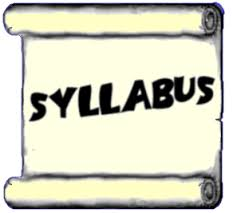 ♦ Be sure to use the updated syllabus template. The template is now available on the eLearning web site. A lot of the links have been updated. If you are continuing to use a syllabus from five years ago, and not updating the links, you could be possibly be giving students outdated information. For ADA purposes, remember to go easy on the bolding, underlining and italics. Keep your fonts the same throughout the syllabus. Please keep in mind that the template itself is not totally ADA compliant.